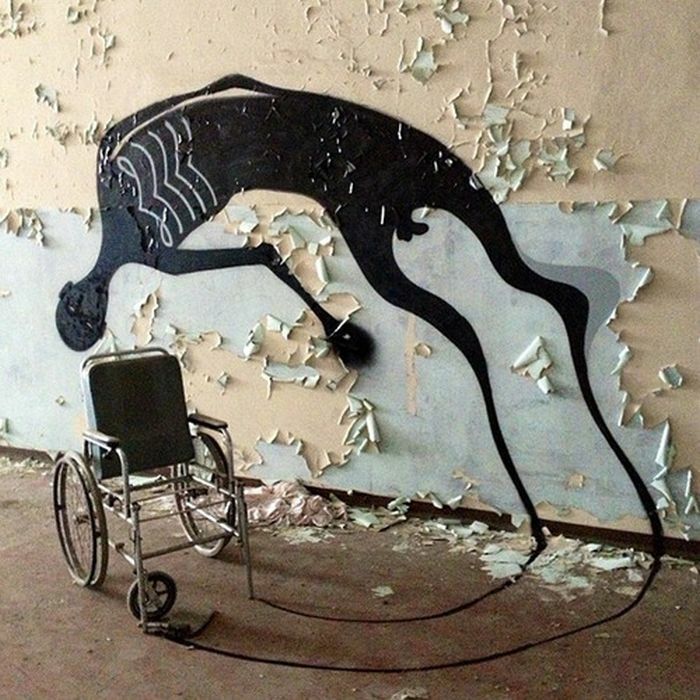 Eerie shadows float out of empty wheelchairs, trailing up cracked and peeling walls and slinking under doorways in a series of paintings in an abandoned mental hospital by Brazilian artist Herbert Baglione. 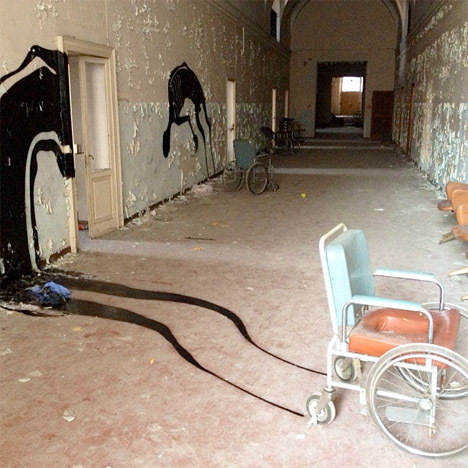 These flowing black silhouettes in a ruined facility in Parma, Italy are part of a larger collection entitled ‘1000 Shadows,’ reflecting the essence of darkness that is often left behind in neglected places. 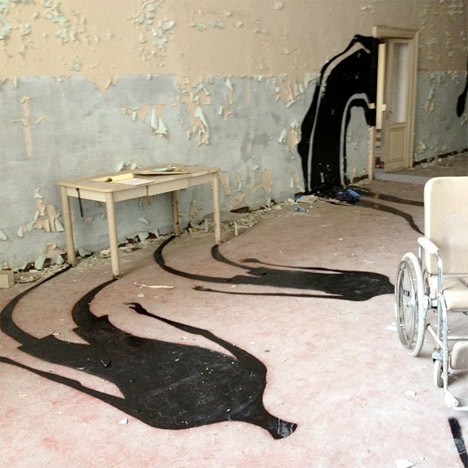 The creepy abandoned hospital is still strewn with furniture. 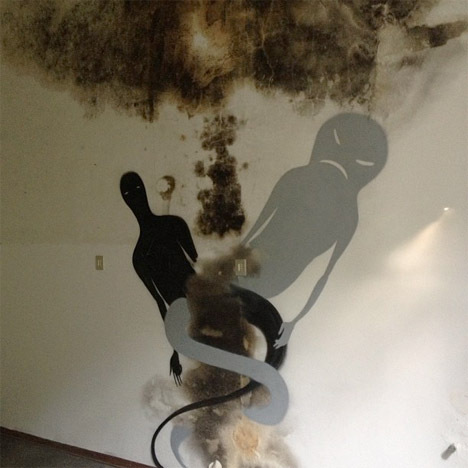 Spirits appear to tussle with each other, tangling amid mildew spots on the walls. Baglione’s painted shadows capture, in visual form, the feeling many of us experience when standing inside such a facility. 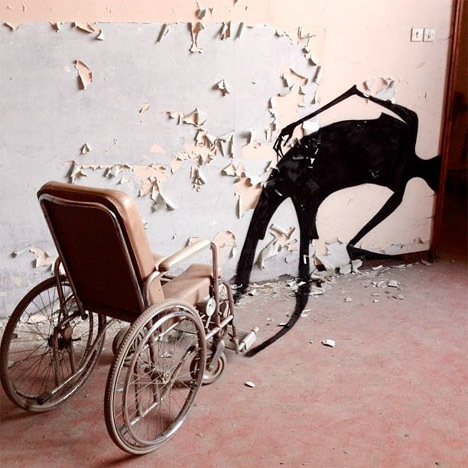 Such morose, frightening imagery may not be an entirely accurate reflection of the very real, human people who were actually patients at the hospital, but it’s certainly an effective interpretation of the haunted mood projected by the buildings themselves. Other settings in the series include abandoned apartments in Paris, and homes in São Paulo. 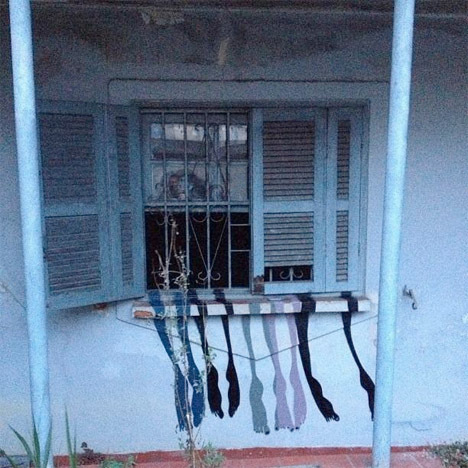 See more from this series, and other works painted on urban surfaces, on Baglione’s Facebook page.